GET, with significant experience in enviromatic and geoinformatic projects, took part the implementation of two important LIFE projects focusing on tackling climate change. 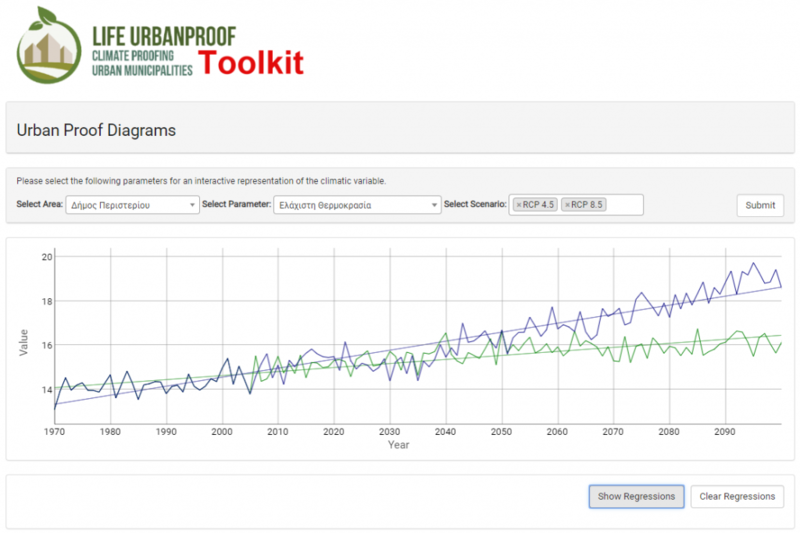 Specifically, GET participates in the development of specialized web tools in the framework of LIFE UrbanProof and LIFE Adapt2clima projects. 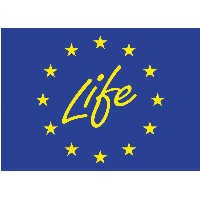 LIFE UrbanProof and LIFE Adapt2clima are two projects funded by the LIFE program of the European Union, in which participates the Unit of Environmental Science and Technology of the Department of Chemical Engineering of the National Technical University of Athens. The overall aim of the LIFE UrbanProof project is to increase the resilience of municipalities to climate change equipping them with a powerful tool for supporting better informed decision making on climate change adaptation planning. In the framework of this project, selected regional climate models and statistical downscaling techniques will be used for the assessment of climate change in the future at regional and local level. In addition, the existing and future vulnerabilities and available adaptation measures to climate change will be identified and evaluated. These results will be presented in an online decision support tool for adaptation planning which will be developed by GET. The overall aim of the LIFE ADAPT2CLIMA project is to increase knowledge on the vulnerability of EU Mediterranean agriculture to climate change and to support decision making for adaptation planning. The project implementation area comprises of three of the largest islands of the Mediterranean Europe, the islands of Crete (Greece), Sicily (Italy) and Cyprus. The methodology is based on the deployment of a set of climate, hydrological and crop simulation models for the assessment of climate change impacts on agriculture, as well as, on the development of a decision support tool for the elaboration of adaptation strategies for the agricultural sector. The web DSS tool will be developed by GET. The web applications developed under these projects are based on the GET SDI PORTAL geospatial data management platform. This platform, developed by GET and used in more than 50 projects worldwide, is once again proven to be able to handle a huge amount of spatial data from different formats and sources. The data is primary presented in the form of interactive thematic maps. Users are able to define the visualization options and parameters, but also to interact with the maps using advanced tools such as the map swipe. In addition, data is also displayed as dynamic charts while web data editing / processing is also allowed for the implementation of complex models for calculating the vulnerability or the impact of climate change at the municipal or even building block level. The tools provided in both projects, beyond the pilot regions for which they have been developed, they can also be used in other areas of Greece and Cyprus, supporting local government authorities in climate change adaptation and mitigation policies.